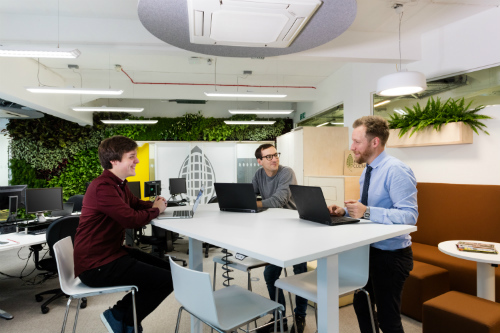 As the construction industry voice for sustainability, the UK Green Building Council used its recent refit to demonstrate what is possible in sustainable furniture and furnishings – and set a new record in doing so. 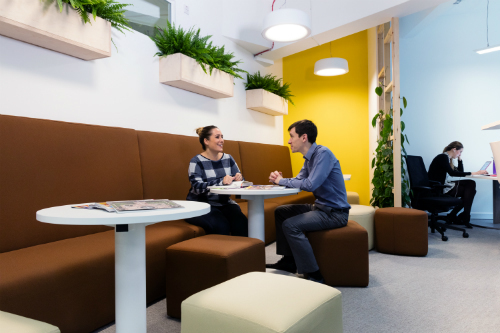 The project achieved the lowest embodied carbon footprint ever recorded for an office refurbishment in the UK. 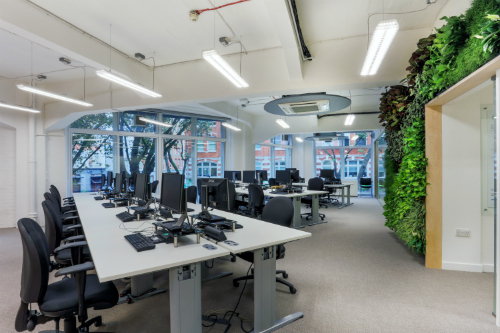 At 139 kgCO2/m² the office has an embodied carbon footprint 22% below a comparable “standard” fit-out and the lowest ever recorded in the UK (Sturgis Carbon Profiling database; WRAP database*). 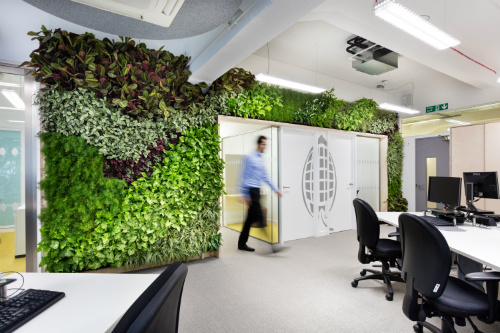 Living walls, moisture-absorbing bio-based walls, and cutting edge technology were incorporated into the design. For sustainable furniture, Project Manager Richard Griffiths turned to Rype Office for cost-effective options. Remanufactured soft seating from Rype Office, reupholstered in 100% recycled hard-wearing polyester in colours chosen to match the scheme. The additional furniture was bought for less than half the list price for the equivalent new furniture, but with no compromise on quality. Remanufacturing takes the long life elements (like steel frames) from high quality used furniture and then rebuilds each item around them. Thanks to modern resurfacing and circular economy processes, remanufactured furniture looks and performs as new, but with a 50% or more cost reduction and 80% reduction in GHG emissions compared to new furniture. For more information on remanufactured furniture, see What is Remanufactured Furniture. 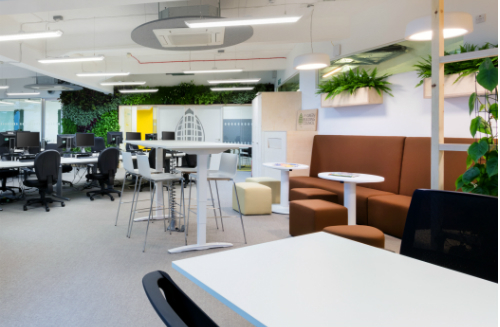 The fittings and sustainable furniture for the UK Green Building Council’s premium refit amounted to 14 kgCO2/m². 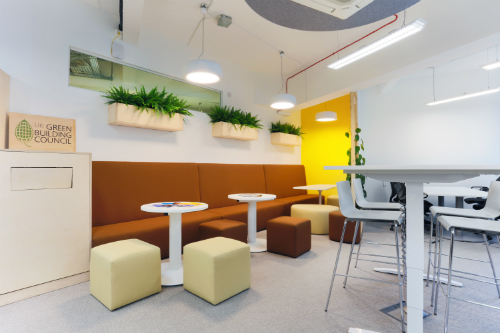 This is a big saving compared to conventional office fit-outs. UKGBC a charity and membership organisation which campaigns for a sustainable built environment. It works to inspire best practice and leadership, influence government and policy, and impact its members’ sustainability performance. *The Sturgis Carbon Profiling database is a proprietary database of embodied carbon in building products used to calculate the total embodied carbon footprint of the fit-out. The WRAP Embodied Carbon database is an open access tool which aims to benchmark projects’ embodied carbon calculations.